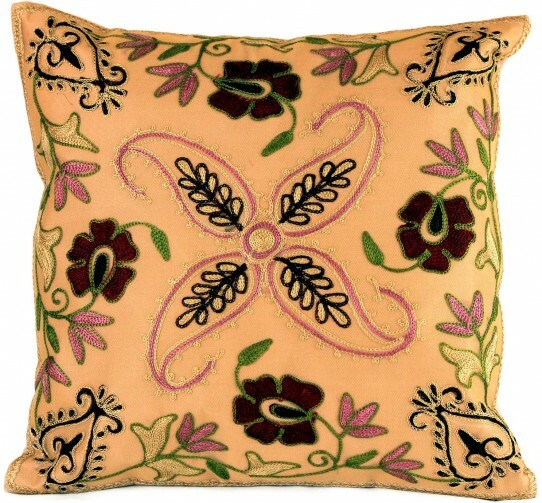 This beautiful floral embroidered throw pillow cover from Banarsi Designs features a vibrant combination of colors ranging from reds, pink, gold, and green tones. 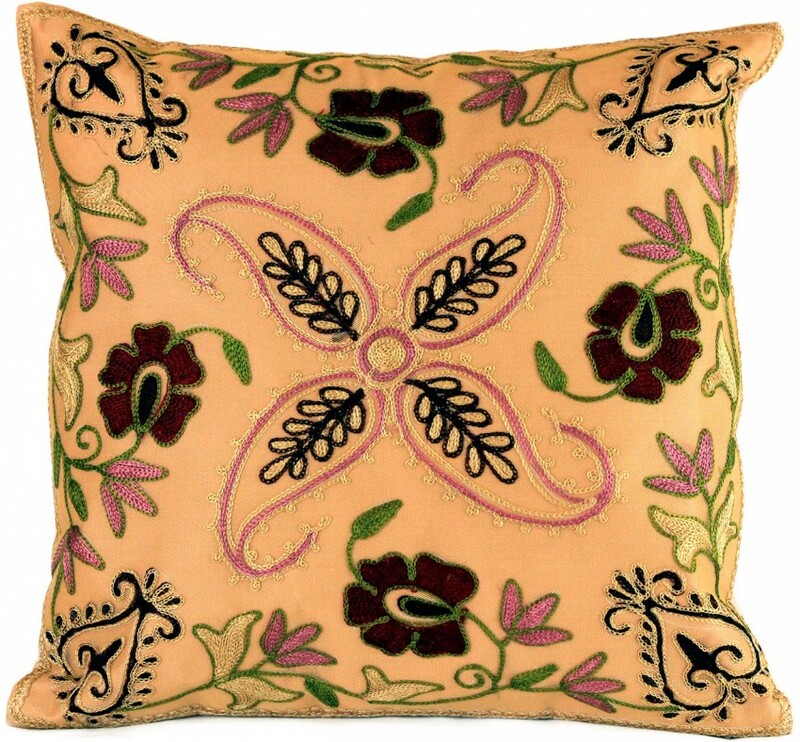 The Spring Garden Floral Pillow Cover, Set of 2 features a gorgeous golden embroidered design with a multi-color floral pattern. Beautiful flowers are embroidered in reds, pink, green, light gold, and maroon tones.